#1 Choose a verse that's relevant. Choose a verse to memorize that speaks to something in your life right now. 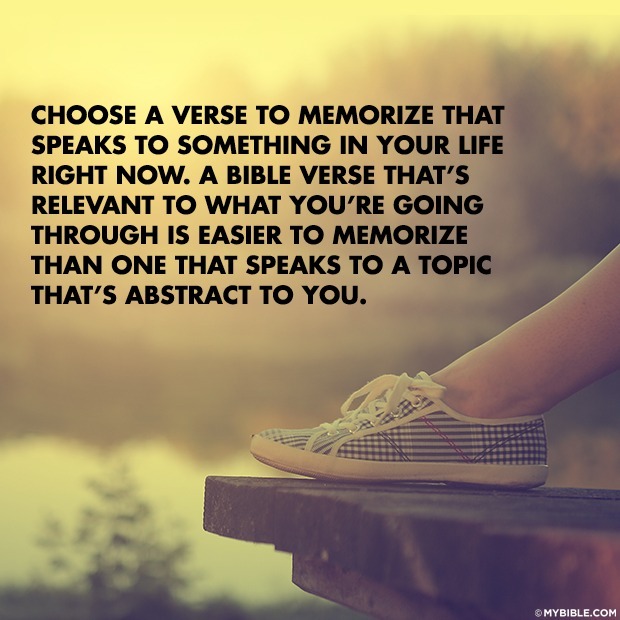 A Bible verse that’s relevant to what you’re going through is easier to memorize than one that speaks to a topic that’s abstract to you.